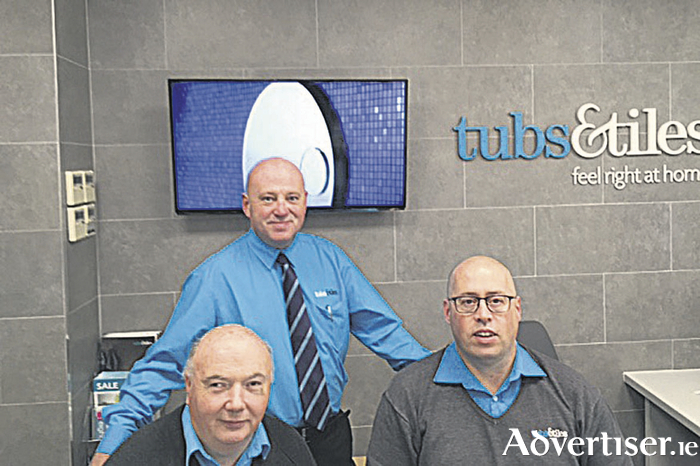 Tubs & Tiles in the Briarhill Business Park, Ballybrit has been refurbished in recent months with significant investment which sees the showroom now housing a completely refreshed range of tiles and bathrooms which are in keeping with the latest trends. The work was overseen by the recently appointed manager, Danny Corbett, who offers nearly 25 years of expertise in tile and bathroom design. The showrooms are now bright, modern and sleek and the perfect backdrop to showcase the latest tiles sourced from Spain and Italy plus several stunning new showering, bathroom ware and furniture collections. Ragno tiles are exclusively available through Tubs & Tiles in Ireland and are recognised as one of Italy’s highest quality and most innovative tile brands. While bathroom brands include the architects’ favourites Duravit and Salgar bathroom ware plus Merlyn and Hansgrohe showering. As part of the range of services, Danny and his team can offer customers 3D bathroom design which will help you envisage what your bathroom will look like with your choice of tiles, ware and furniture. This uses your bathroom’s measurements and features to give you a realistic rendering which will help you in making your decisions. Contact Danny on 091752500 to make an appointment or visit the showroom to find out more. Tubs & Tiles is an Irish owned company with 11 showrooms nationwide. The company is currently revitalising the brand throughout the country with a programme of work which will see a new branch opening in Dublin and the showrooms in Athlone and Ennis branches undergoing a transformation over the coming months. Tubs & Tiles sister company, Heat Merchants, has 31 branches nationwide including Galway. Visit the newly refurbished branch in Briarhill or visit www.tubstiles.ie for more locations.